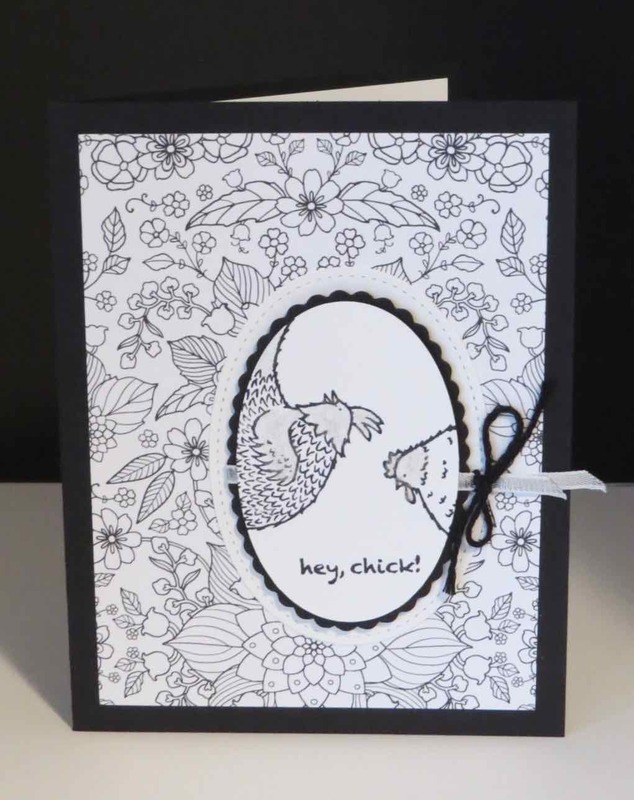 Karina's Kreations: Stampin'Up Hey Chick! Today is the last day of Sale-a-bration. I want to thank all my friends for their support over the last three months. 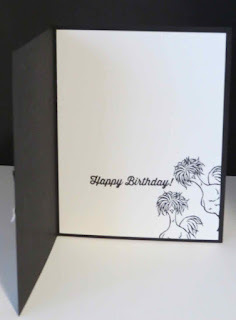 I know there are other Stampin'Up demos and I'm so grateful for your friendship and your support! I'm holding a special Sale-a-bration Celebration on April 22 1:00 - 4:00 for customers who spent $180 over the last three months, got the starter kit from me or promoted on my team. It's not too late to place your last order. 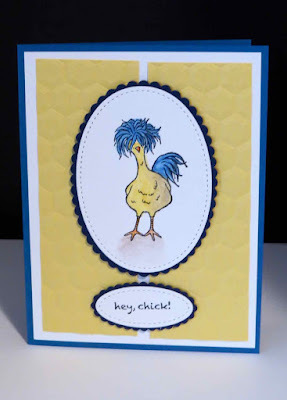 I wanted to share my favorite sale-a-bration stamp set Hey Chick with you. 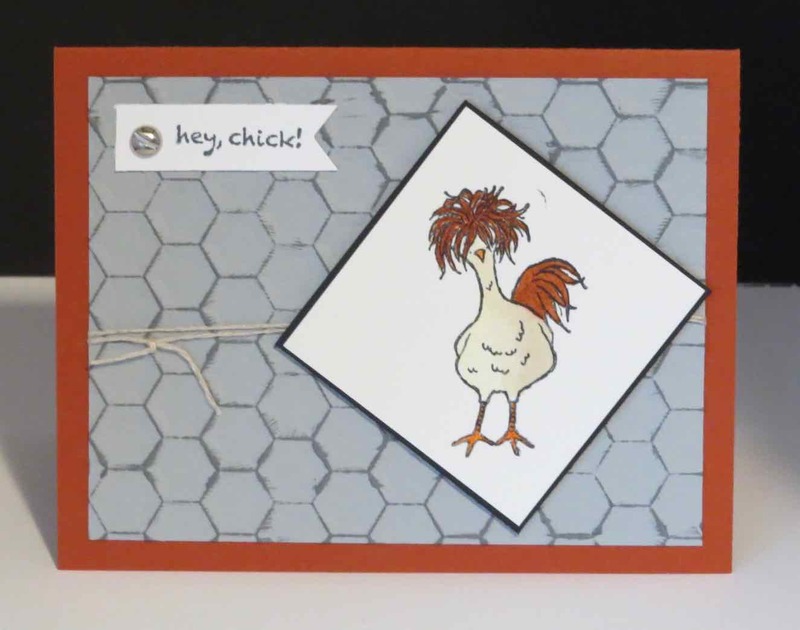 I love the crazy chicken images and these cute cards were from a swap I got. This card is by Donna Powell. 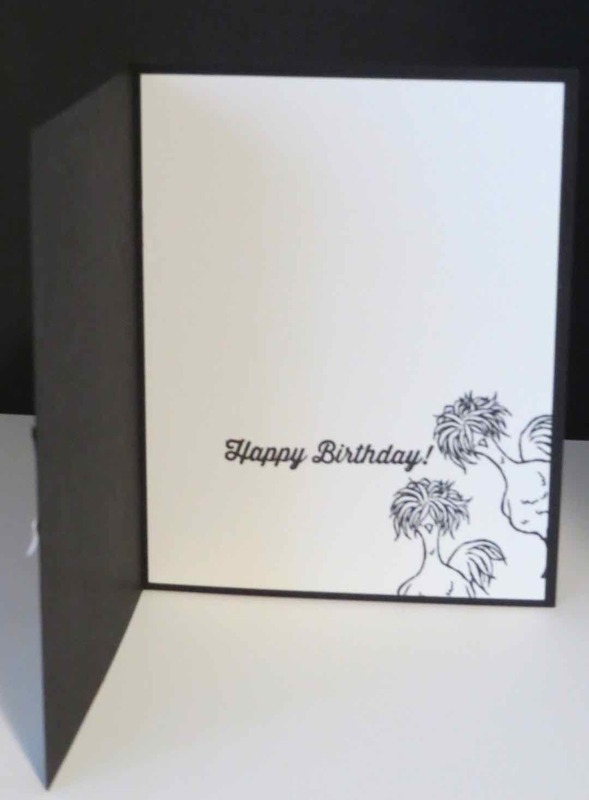 I love how she inked up the inside of the Hexagon Embossing Folder #143231 with Basic Gray ink and ran it through the Big Shot. It looks like chicken wire. I love how this card was made with the Hexagon Embossing Folder, the Layering Oval framelits # 141706 and colored with watercolor pencils #141709. I love how this card uses the Layering Oval Framelits #141706, the stitched shaped framelits #145373, the inside the lines sale-a-bration paper #143830 and the chickens were colored with the Wink of Stella pen #141897. Everyone should own a Wink of Stella Pen!! !